In our efforts to bring hyperthermia cancer treatment to the world, we are welcoming three new distribution, sales and service companies covering 13 countries. MedVision, a division of SADITA Holdings Group, is well known in the areas of cardiology, cardiac surgery and peripheral intervention products. The company will be representing Pyrexar Medical in their home country of Kuwait, as well as, Qatar, Bahrain, Saudi Arabia, Lebanon, Jordan, Egypt, UAE, Oman, Iraq & Iran. 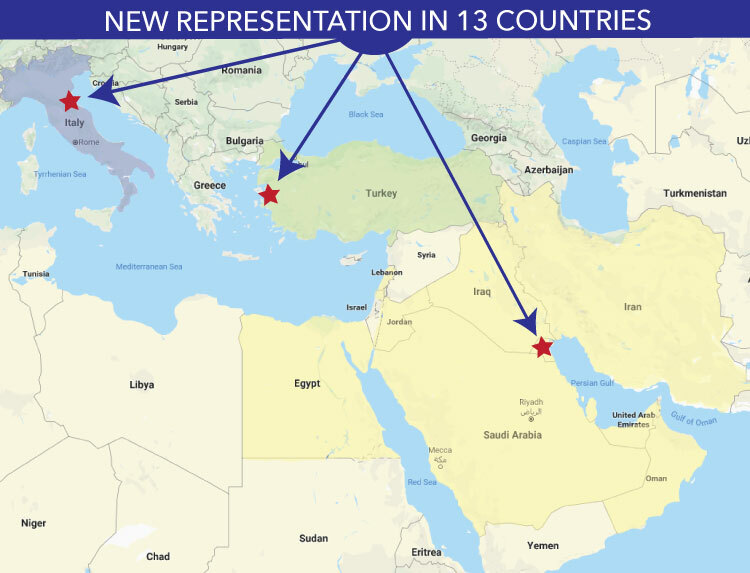 This represents a major expansion in the Middle East for Pyrexar and we are looking forward to growing with them. Tema Sinergie is based in Faenza, Italy in the coastal province of Ravenna. The company's motto is "high tech, high care" and they have certainly been living up to that vision. Tema specializes in nuclear medicine, radiotherapy, uro-oncology, barrier solution technology and medical physics. The group has been serving the country's need for medical products for over 30 years. Hyperthermia is an excellent extension of their product line and we are excited to have them on our team. Meyra Medicine and Health Products, will be bringing Pyrexar Medical's hyperthermia product line to Turkey. Meyra, which translates to "shining star" is headquartered outside the coastal city of Izmir in the town of Kemalpasa, Turkey. In addition to sales and service support of hyperthermia, the company is also involved in ultrasound imaging products and proton therapy systems. Turkey is an emerging market economy with a healthy medical technology sector. Please join us in welcoming our new members to the Pyrexar team.